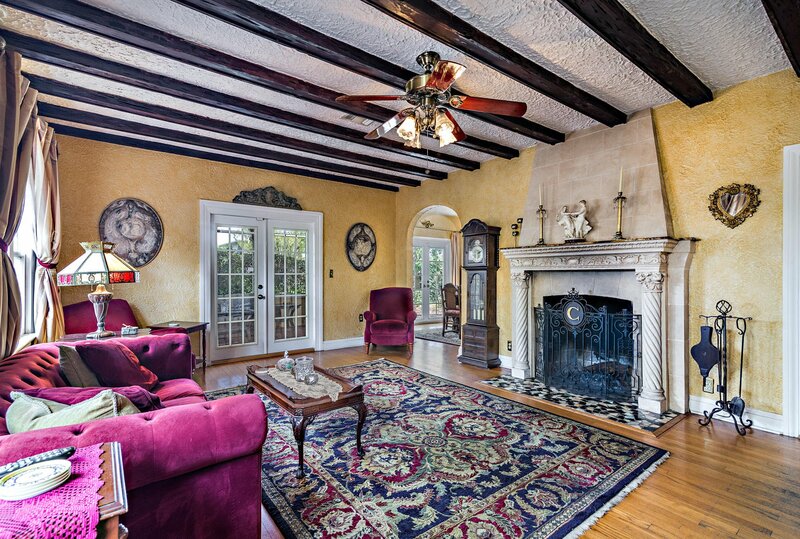 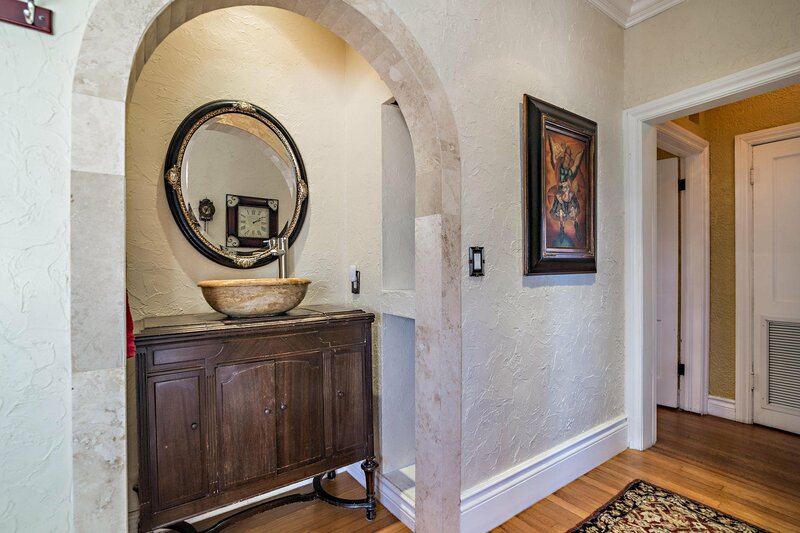 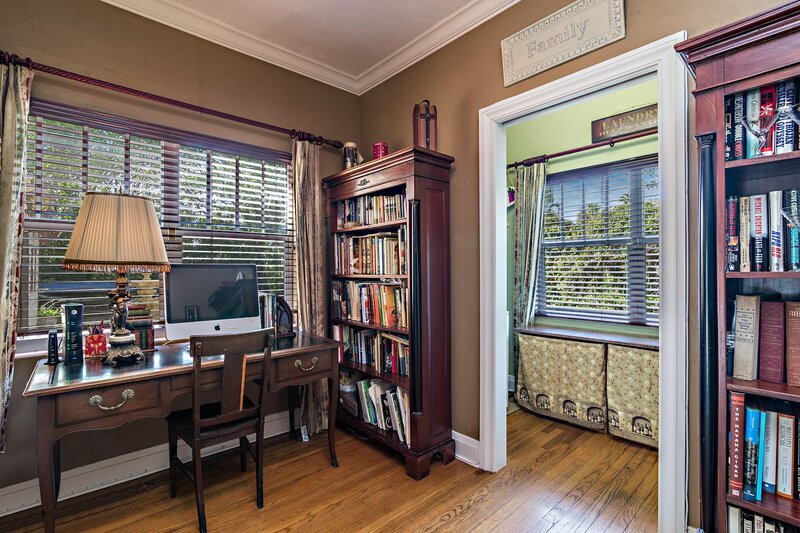 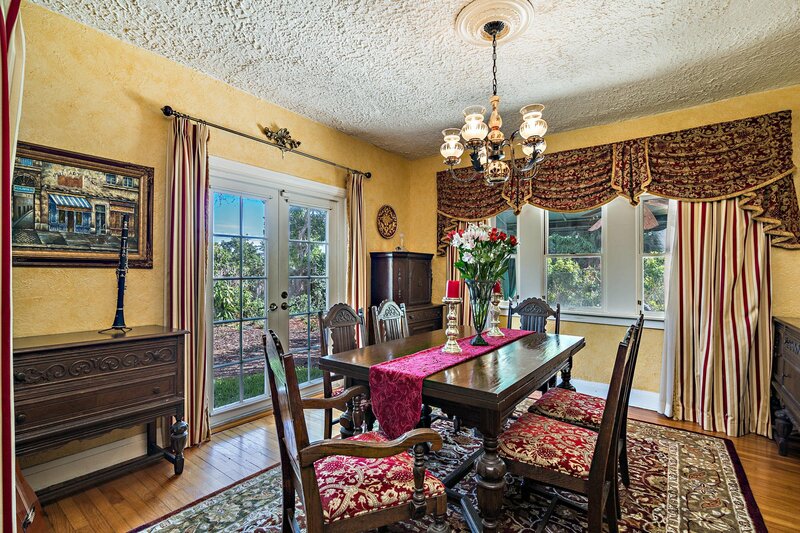 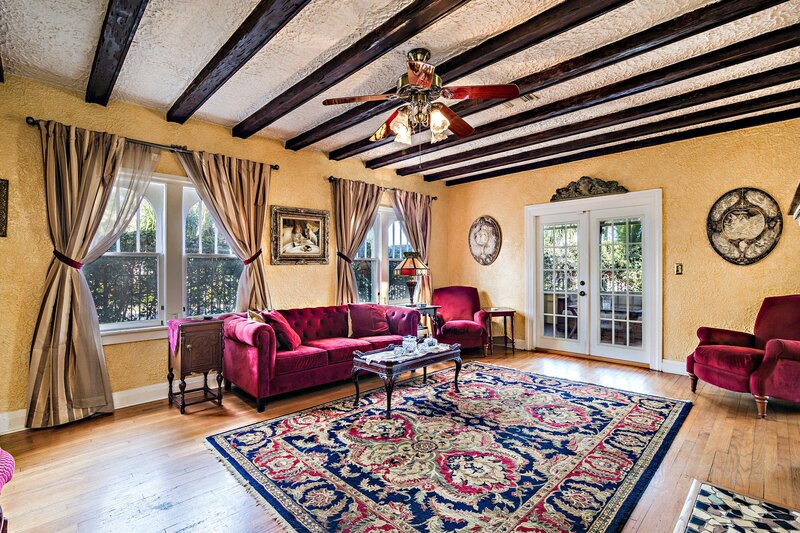 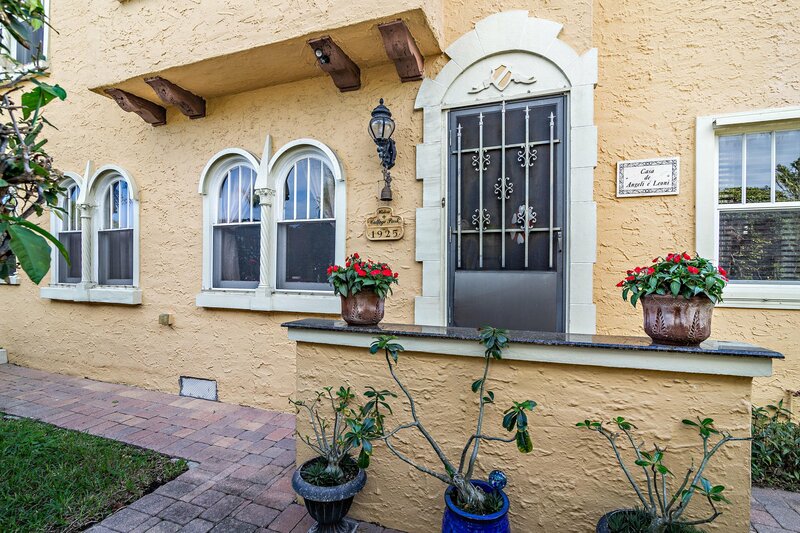 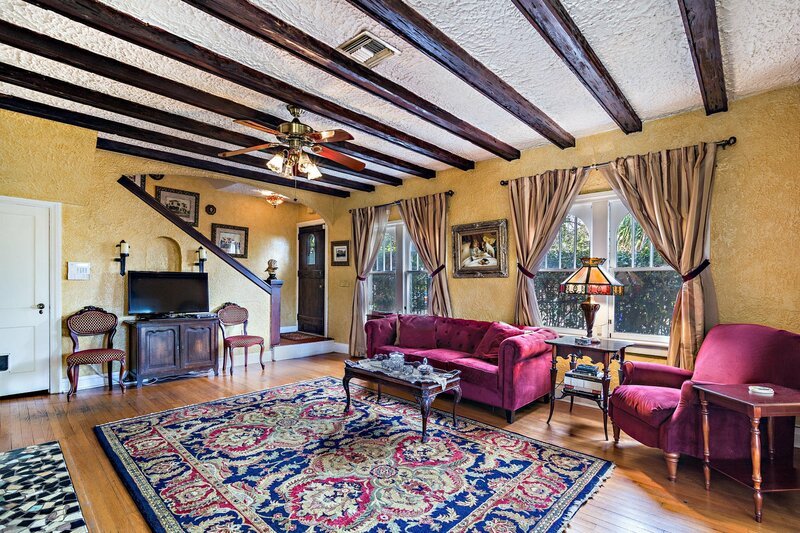 College Park Mediterranean Revival 5-bedroom 2.5 bath house on a triple lot offers original historic charm with modern conveniences. 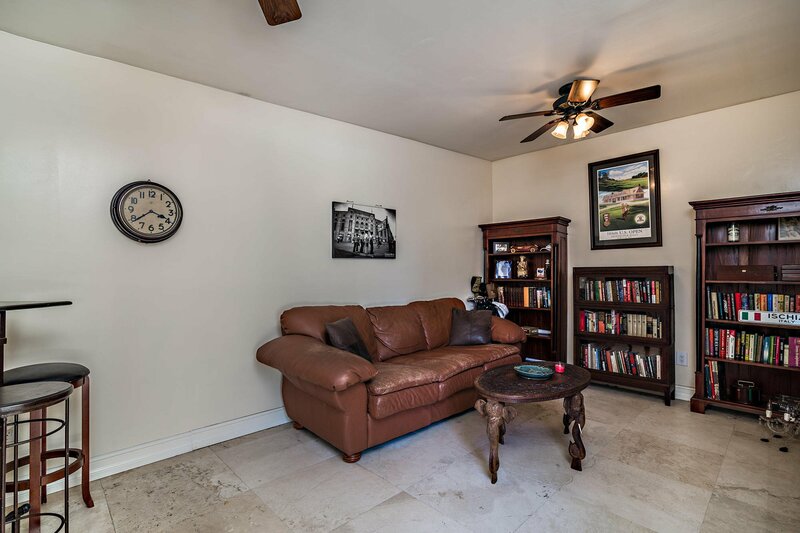 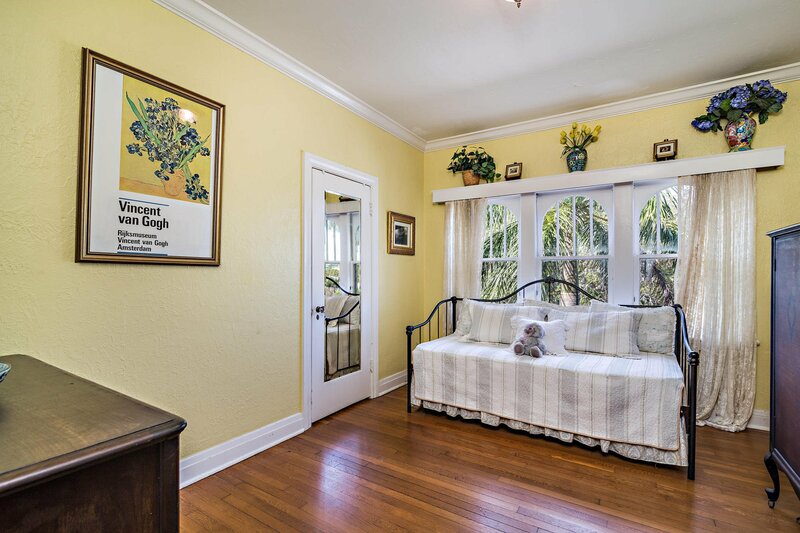 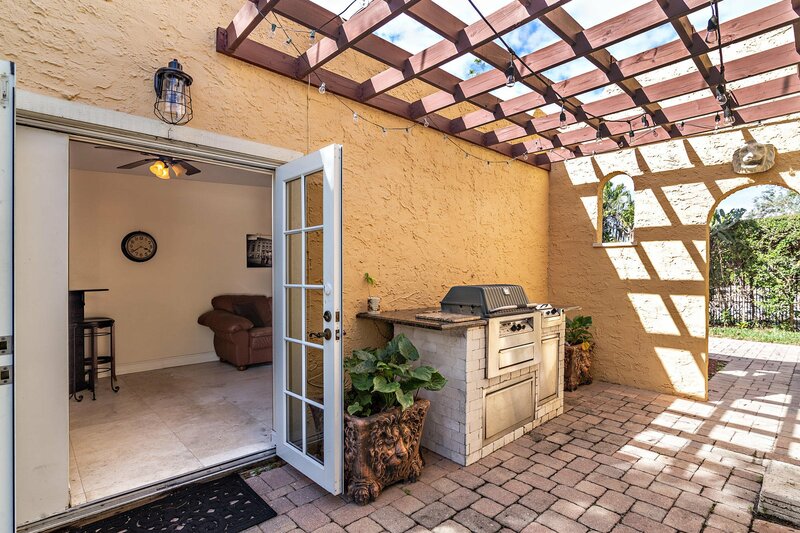 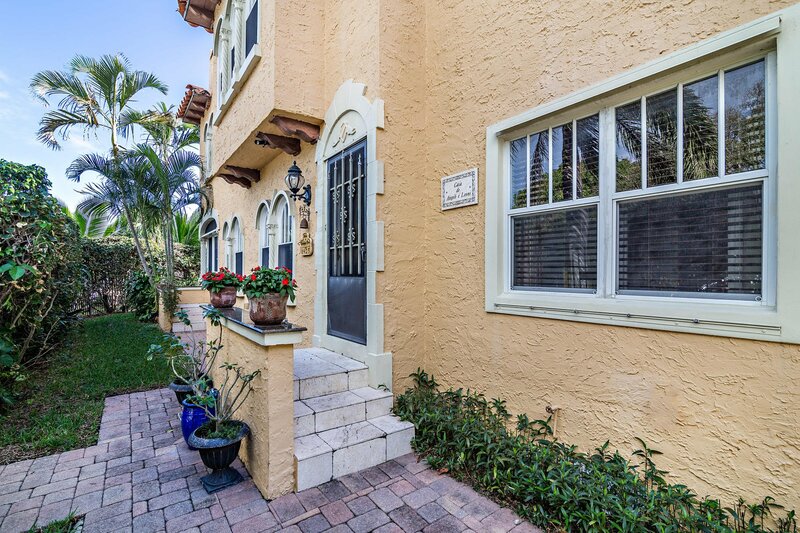 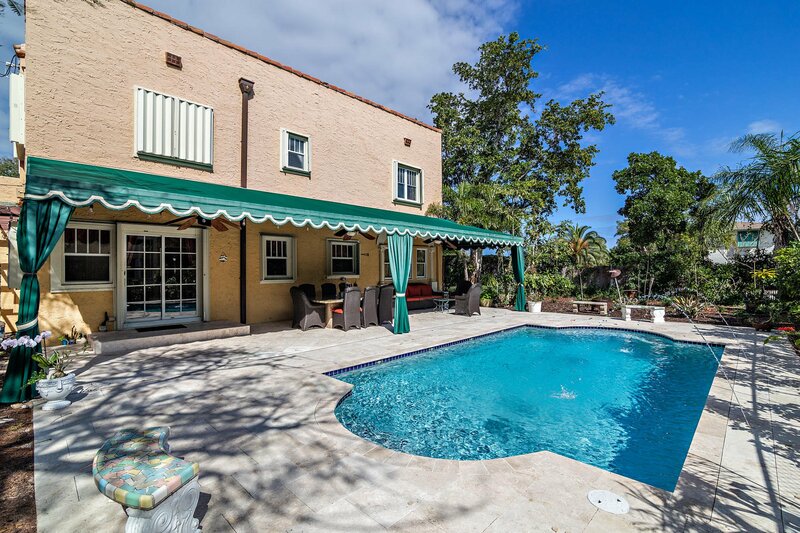 Property features include a large living room with high ceilings, hardwood flooring, a wood burning fireplace with doors to the arched screened lanai. 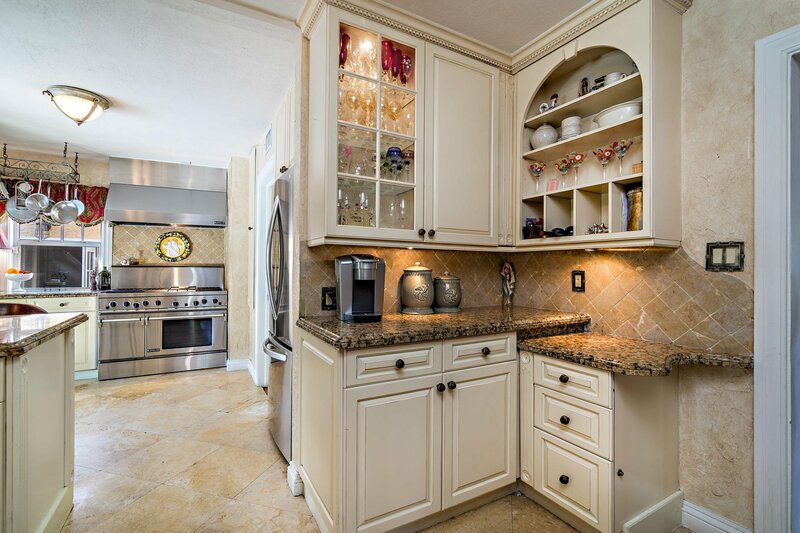 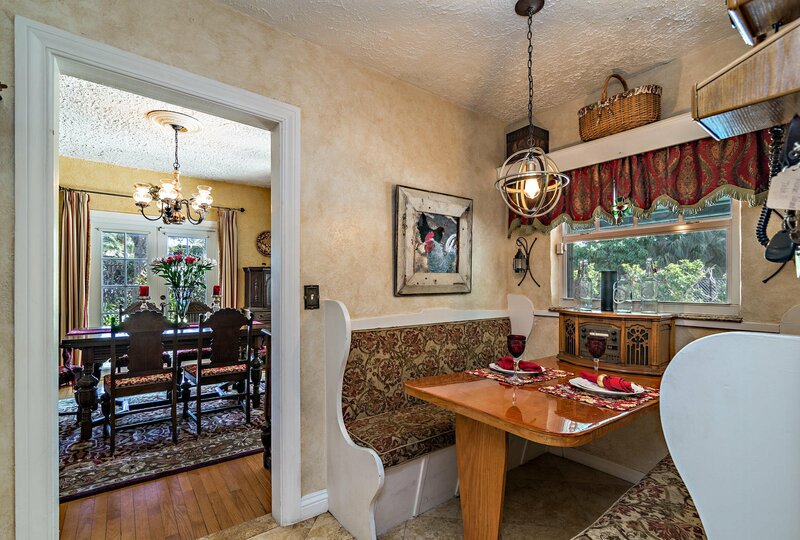 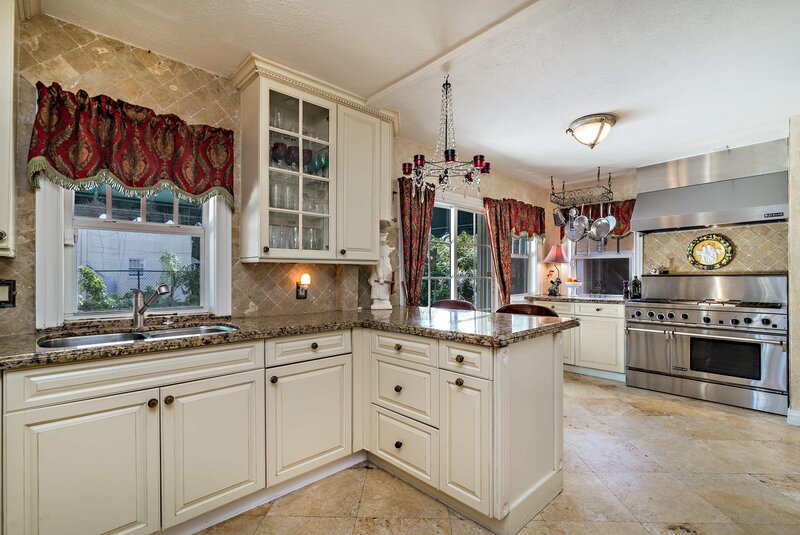 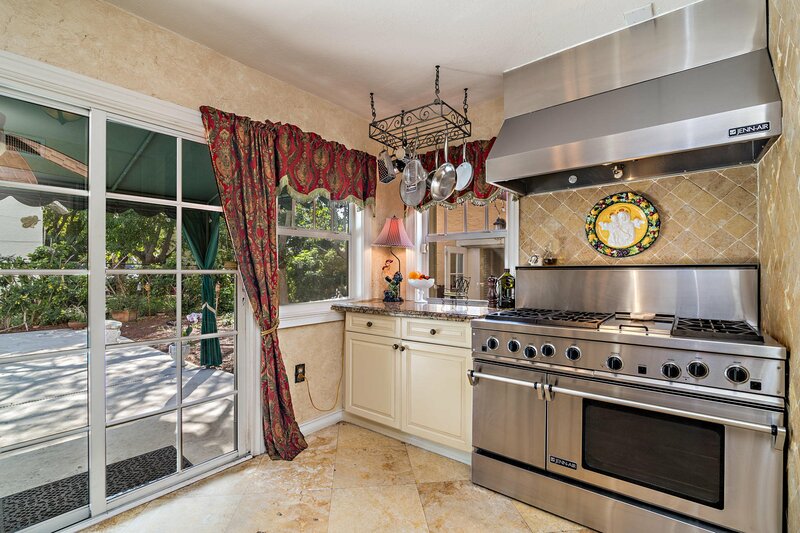 The chef's kitchen offers dual commercial ovens and a 6 burner stove and griddle, stone floors, granite countertops plus a butler's pantry/breakfast room that leads to the formal dining room. 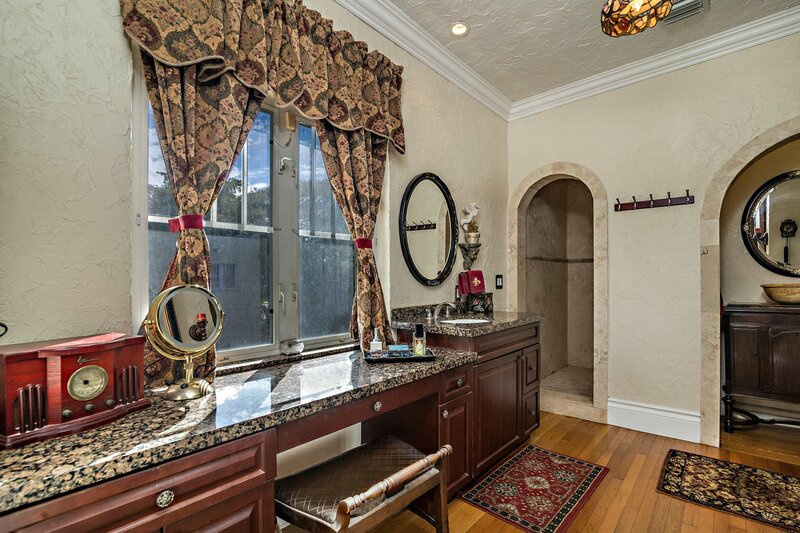 The downstairs maid's quarters currently used as a laundry room and office can be converted to a full scale wine room. 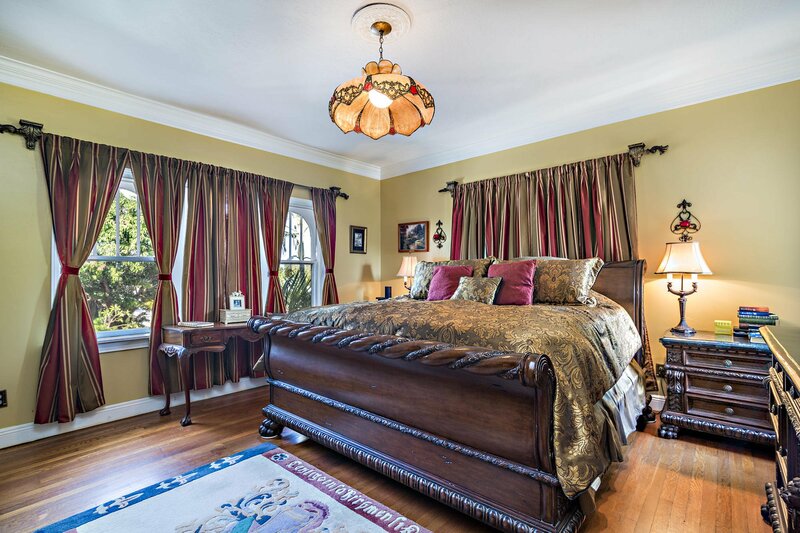 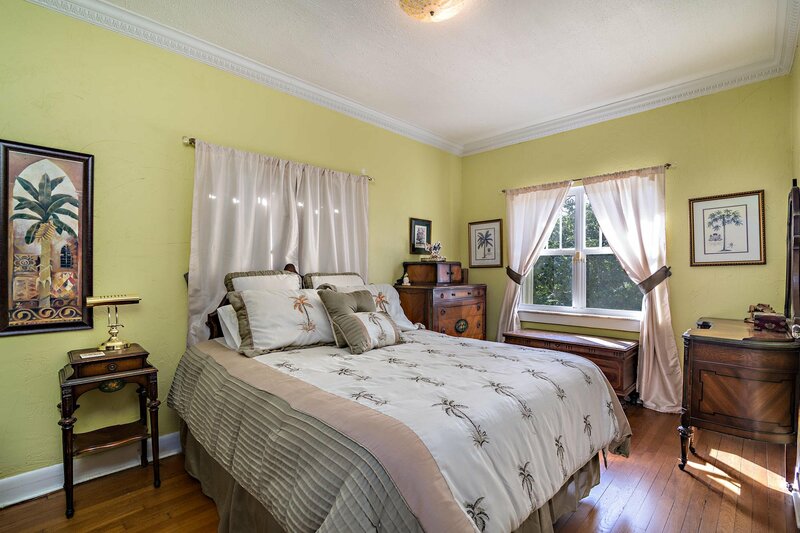 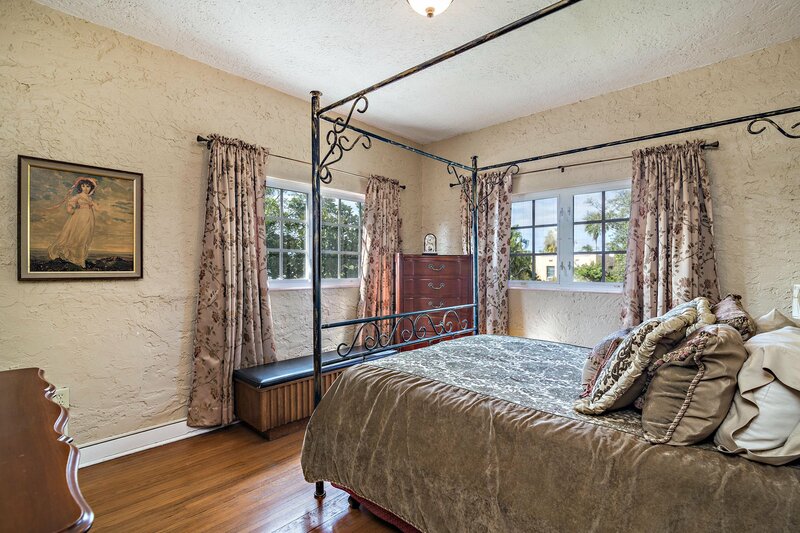 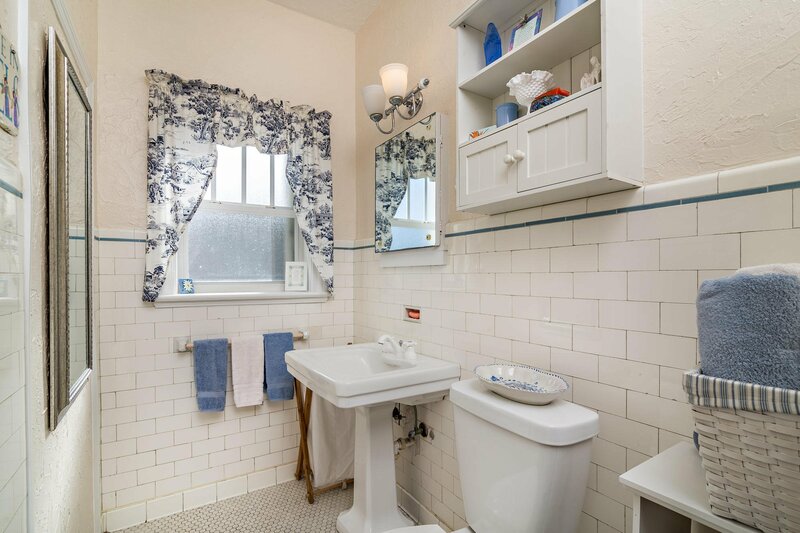 The second floor large master bedroom offers a large walk in closet and a large en-suite bathroom. 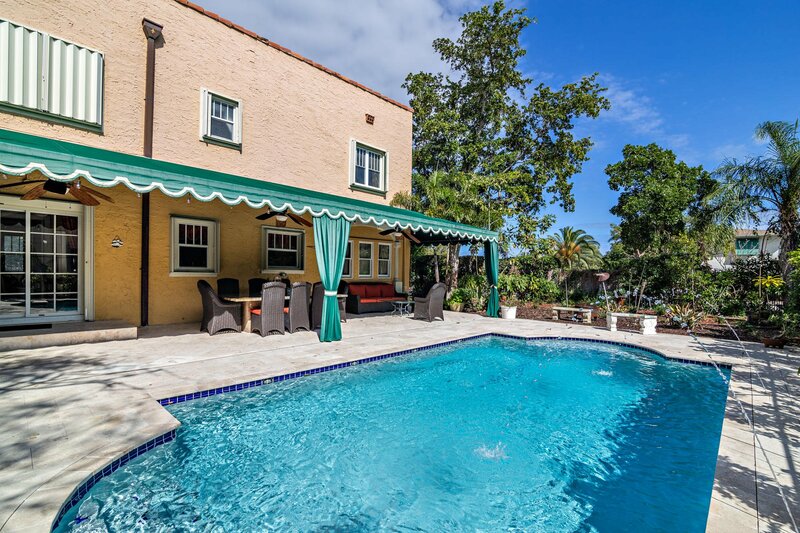 Exterior features include a 40 foot marble covered patio that overlooks the heated pool, a pond, fountain, a Ted's Shed, standby generator, a gated driveway, a built in gas grill and a detached pool house. 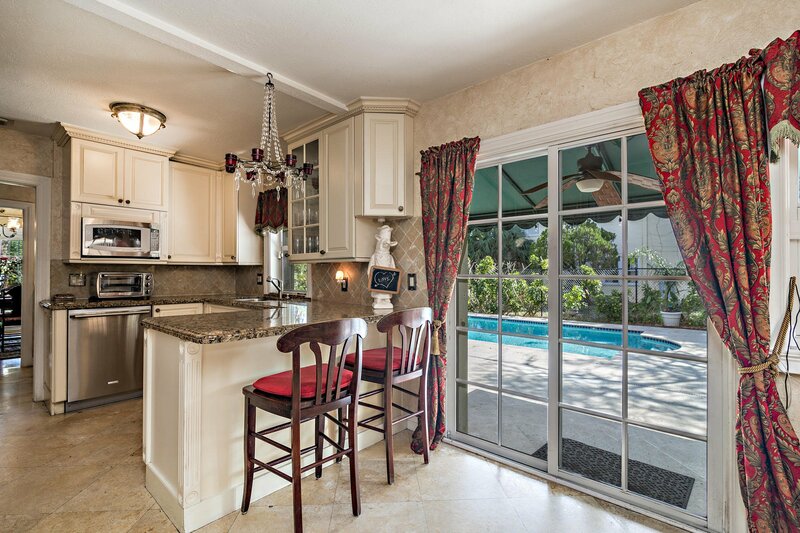 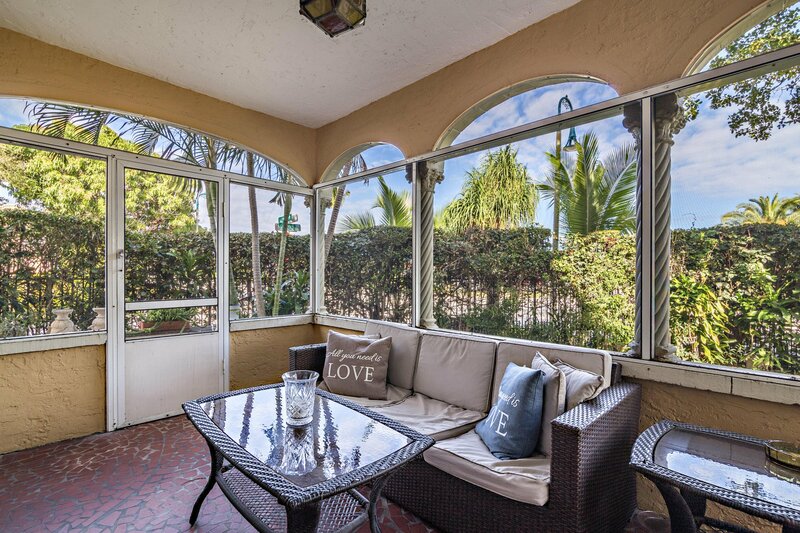 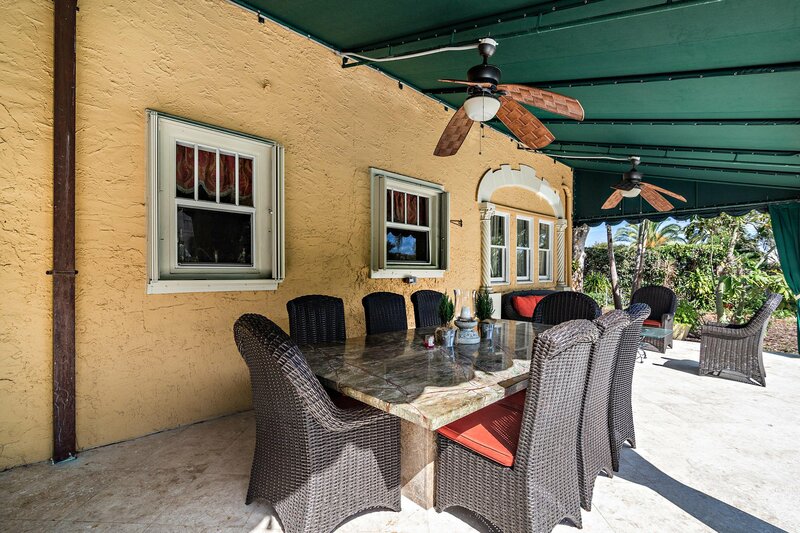 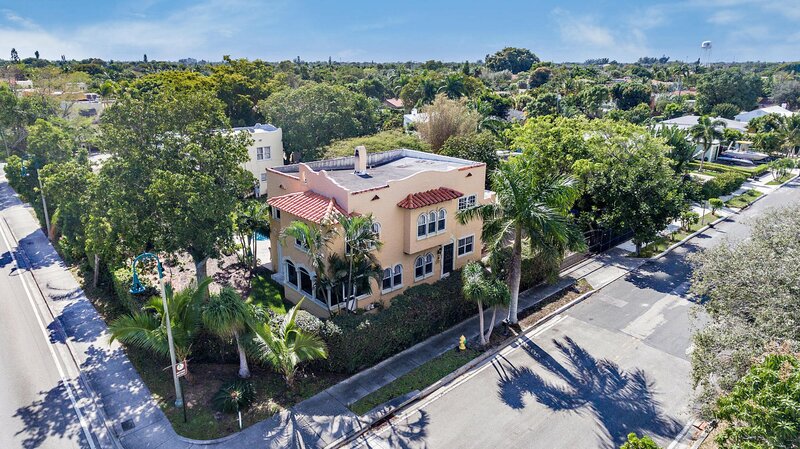 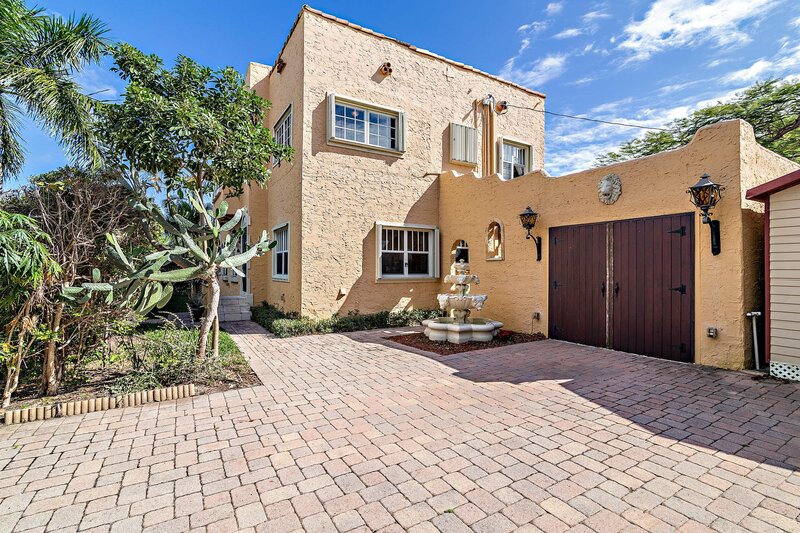 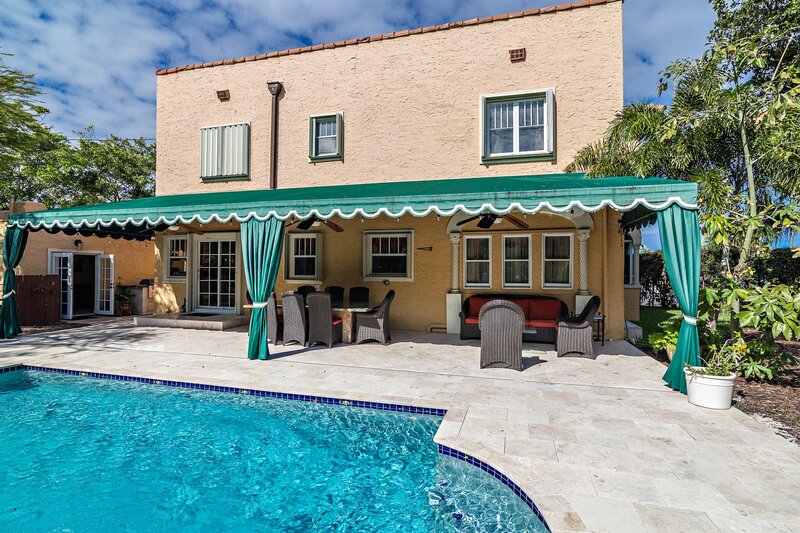 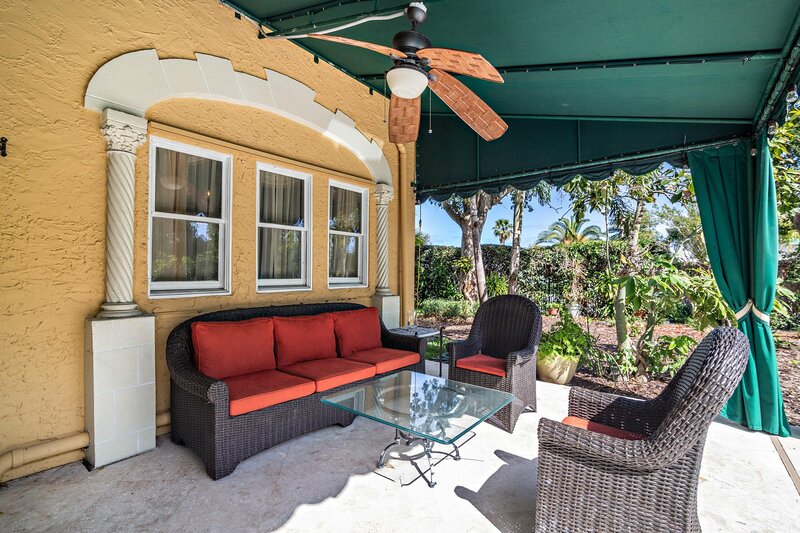 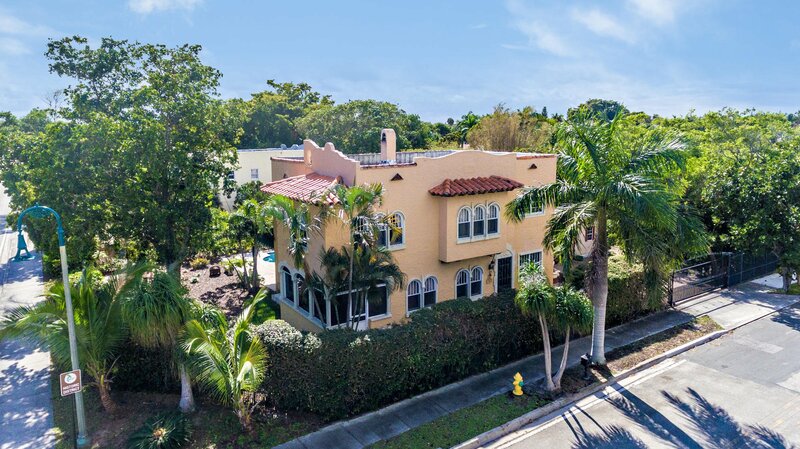 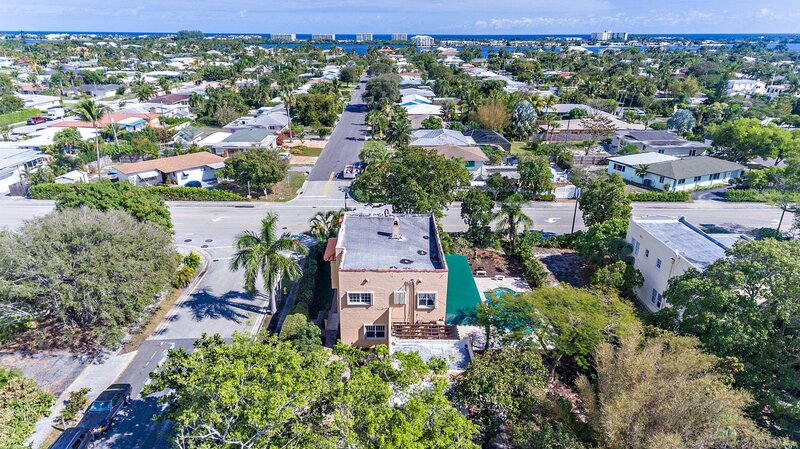 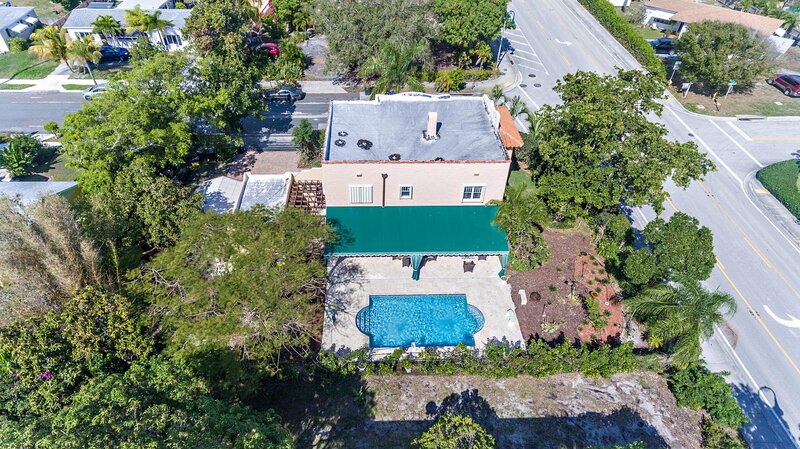 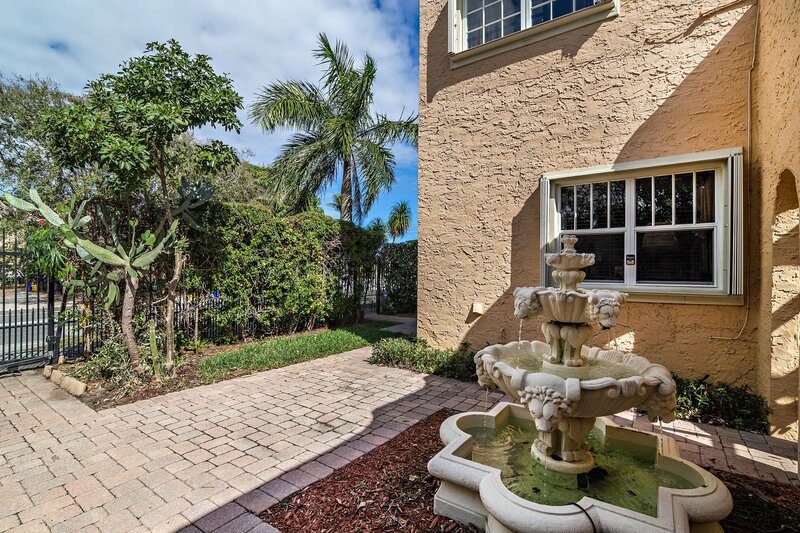 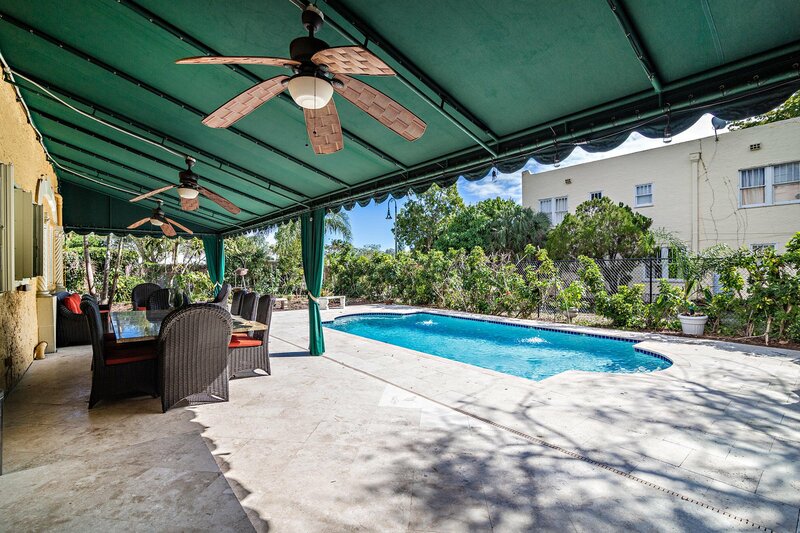 A fantastic house for entertaining, located 2 blocks south of the spillway, just over the bridge to Palm Beach, convenient to beaches, the airport and world class shopping and dining.